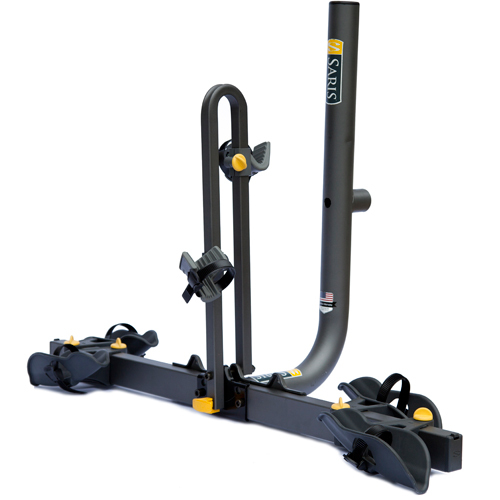 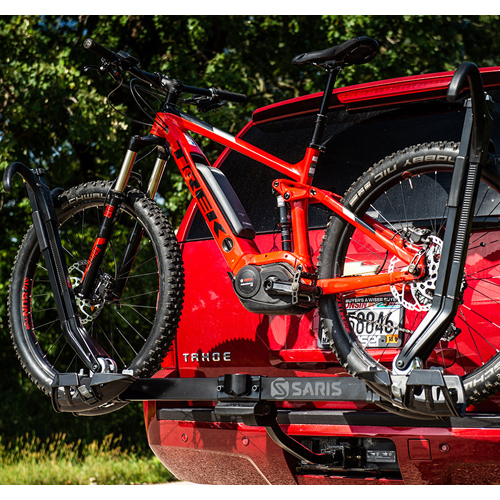 The Saris 999tb Freedom 2 Bike Platform Style Spare Tire Mount Bicycle Racks are compatible with most vehicles with rear mounted spare tires. 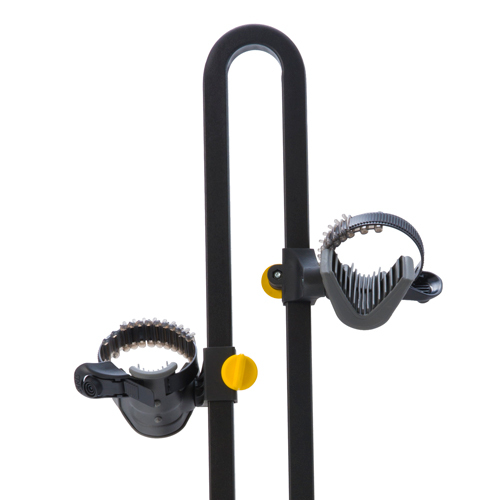 Adjustable protective rubber cradles attach to each bicycle down tube providing stability and versatility while transporting your bicycle. 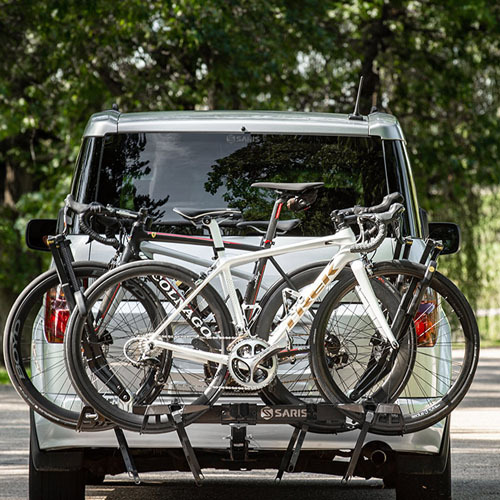 The Saris 999tb Freedom 2 bike spare tire mounted platform style bicycle racks have adjustable short tray wheel holders and ratcheting straps to secure your bike tires. 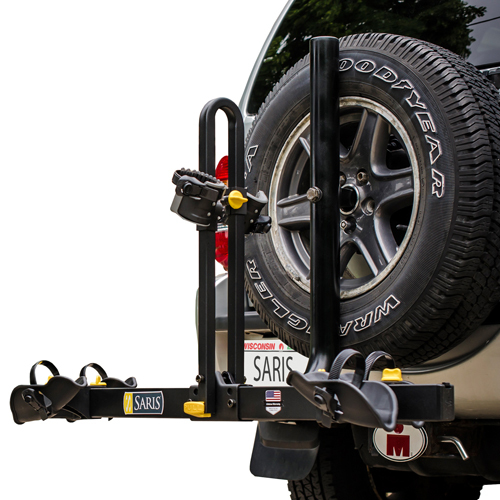 The Saris Freedom spare tire mount will adapt to a left, right or center mounted spare tire position. 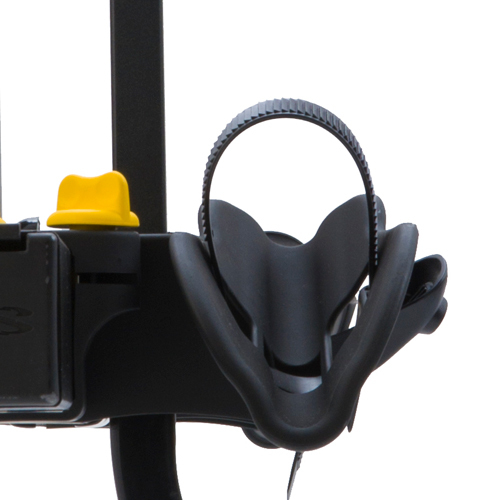 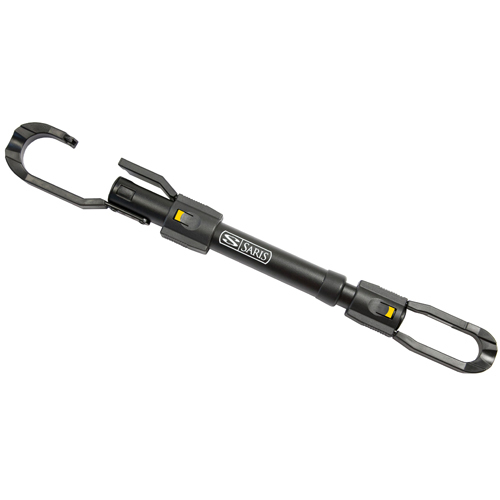 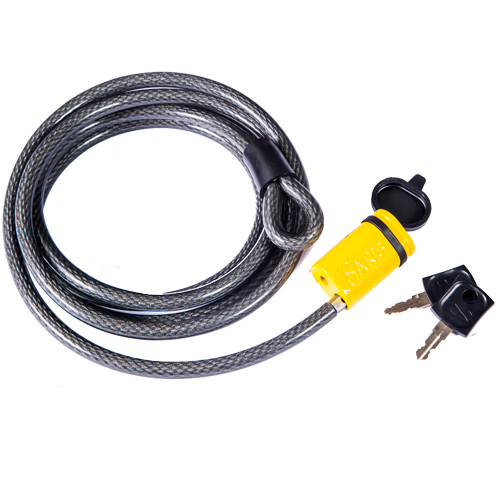 The Saris 981 Locking Cable may be added to lock your bikes to the Saris Freedom bike rack or to a parking rack at your destination (sold separately - see below).